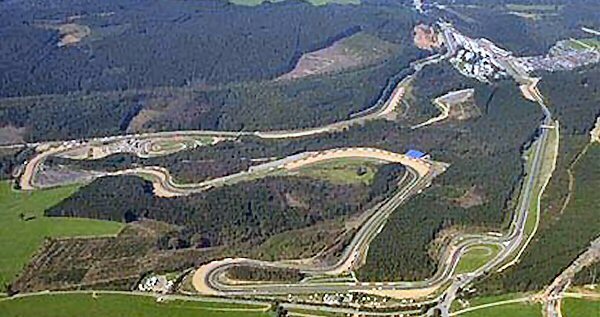 The Formula 1 circus returned to action after its summer break at one of the calendars legendary circuits: the Circuit de Spa-Francorchamps. In a weekend that was dominated by off track rumours of possible driver changes, it saw Red Bull Racing’s Sebastian Vettel take an impressive victory from second place on the grid in what was for long periods an uneventful race. 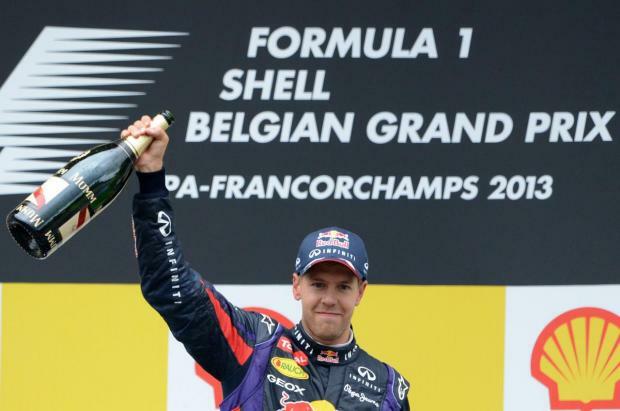 Vettel leaves the Ardennes forest with a championship lead which is the largest he has had so far this year, 46 points ahead of second placed Fernando Alonso. As has been the case since Mark Webber announced his departure from the Formula 1 grid at the end of this season, the talk around the paddock was of who would fill the vacant seat at Red Bull Racing. It emerged that Kimi Raikonnen (below) was no longer the hot favourite to take the 2014 Red Bull drive as contract talks between the two parties had supposedly broken down during the summer break. This made things even more intriguing when the Finn wasn’t at the track on Thursday, yet this was eventually accredited to Raikonnen feeling “unwell”. It appears that this has now opened the door for Toro Rosso’s Australian driver Daniel Ricciardo to fill his compatriot’s boots at the senior Red Bull team. Although there is yet to be any official confirmation of this arrangement from either team, it is expected to be confirmed at either the final round of the European season at Monza, or the first of the flyaway events at Singapore. Ricciardo’s replacement as also expected to be announced at this time. The on-track action in Belgium began in changeable conditions on Friday morning, with Fernando Alonso setting the fastest time of Practice 1 in an inconclusive reading of the pace of the various drivers. Vettel ominously went fastest in the afternoon session ahead of team-mate Webber, but not before he had to limp back to the pits with a deflated tyre, putting extra scrutiny on tyre suppliers Pirelli. Luckily for Pirelli, the problem was later put down to Vettel running over debris while on track, a problem also experienced by Fernando Alonso later in the day. Saturday saw Vettel go quickest in Free Practice 3, though Alonso was much closer to the pace of the Red Bull’s on this occasion, setting the scene nicely for the qualifying session. In what was surely the most entertaining qualifying of the year, as the fickle Ardennes weather was at its most unpredictable, the Marussia and Caterham teams saw their best qualifying effort of the season to date. The Caterham of Giedo van der Garde (below), placed third in the time-sheets in Q1, with himself and the Marussia’s of Jules Bianchi and Max Chilton making good use of slick tyres on a damp track when all other drivers opted for the intermediate tyre. 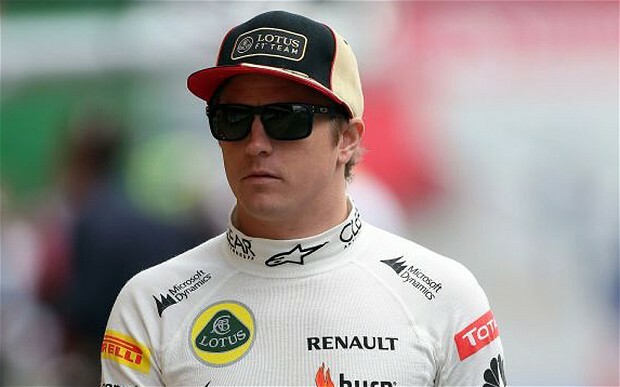 All three made it through to Q2, at the expense of both of the Williams and Toro Rosso drivers. With the track drying for Q2 and all drivers on slick tyres, they failed to progress past the bottom 3 positions in the time-sheet’s, although this still provided each driver with career-best starting positions. The track was virtually dry at the start of Q3, but in typical Spa-Francorchamps fashion the rain began to fall heavily once again. When the drivers left the pits at the start of the session, nearly all were on the medium compound tyre in order to try to post a time, yet by the time they finished an out lap, the track was too damp to do so. 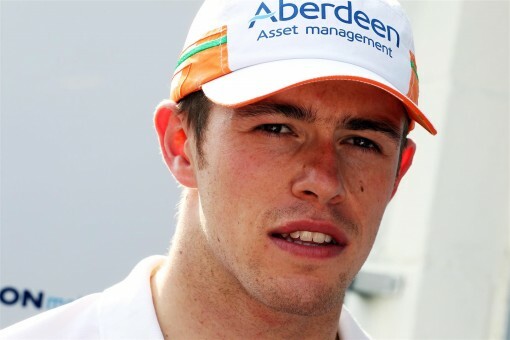 Paul Di Resta (below) decided to leave the pits on the intermediate rubber straight away, and it proved to be an inspired decision from Force India as he was able to set a time before the conditions deteriorated. He looked set for his maiden pole position, and Force India’s second, only for the rain to stop with only minutes to go. With drivers trying to cross the line as late in the session as they dared in order to take advantage of the track drying, the times soon tumbled. With a minute to go Di Resta had pole, but he ultimately finished fifth, still equaling his best ever starting position. Ultimately the Mercedes of Lewis Hamilton timed his lap to perfection and took a stunning fourth consecutive pole position as the last driver to cross the line, two tenths faster than Vettel, and 3 tenths ahead of Webber. Fernando Alonso could only manage ninth fastest, leaving him with plenty to do come race day. Sunday greeted drivers with a dry track and an overcast sky, but mercifully no imminent threat of rain. Most drivers in the top ten opted to start the race on a fresh set of Pirelli’s medium rubber except for Nico Rosberg, who opted for a scrubbed set. For the first time in several races at Spa there were no comings together at the first corner, much to the relief of Romain Grosjean, after he had caused a multi-car pile- up on the opening lap of the 2012 race. Hamilton managed to hold on to his starting position, but only for the next 20 seconds, as Vettel’s Red Bull ate up the slipstream of the Mercedes and flew past on the run up the Kemmel Straight. In truth, it was a lead he never looked in danger of losing. Yet another lightning fast start from Alonso saw him in fifth place at the end of the first lap, and he picked cars off in fine style in the following laps to find himself in second place for the rest of the race.While a clutch issue for Mark Webber saw him tumble down the order on the first lap, leaving him yet another Sunday afternoon of clawing his way back up the order to eventually finish fifth. 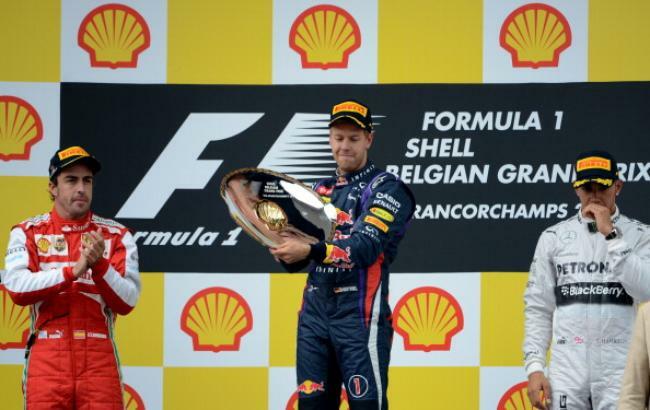 The race was not proving to be a classic like so many others we have seen at Spa, although there were some notable incidents, such as the end of Kimi Raikonnen’s record point scoring streak, stretching from last year’s Bahrain Grand Prix. The left-front brake on the Finn’s Lotus was shedding brake dust at an alarming rate in the race’s early stages, culminating in the Lotus going straight on at the Bus Stop chicane on the 25th lap as the system gave up the ghost. Raikonnen’s team-mate wasn’t having an easy time of it either, with Romain Grosjean forced wide by the McLaren of Sergio Perez at the Les Combes chicane, resulting in him losing two places. The stewards took a dim view on the movement of Perez whilst under braking, and he was given a drive-through penalty for forcing another driver off-track. With the lack of action bordering on boring at stages of the race, Esteban Gutierrez took it upon himself to liven things up with an ambitious attempt of overtaking the Williams of Pastor Maldonado around the outside of the high-speed Blanchimont corner. The resulting chain reaction saw Maldonado try to enter the pits for a scheduled pitstop, only to make contact with the Force India of Adrian Sutil at the Bus Stop as he attempted to do so. Sutil escaped any lasting damage to his car, but as his unsighted team-mate Paul Di Resta attempted to repeat the feat, the Williams clouted the left-rear tyre of Di Resta, breaking the suspension and the rear wing of the Force India, bringing an unceremonious end to a once promising weekend for the Scot. Maldonado made it to the Williams pit for a front-wing change, but the stewards deemed the Venezuelan was to blame for the incident, giving him a ten second stop/go penalty. At the front Sebastian Vettel (above) was untroubled on his way to his fifth victory of the season, with Alonso a distant second, 16 seconds behind the Red Bull. Hamilton completed the podium for Mercedes. Jenson Button finished an impressive sixth for McLaren, amid speculation that focus had now switched onto developing the 2014 car rather than the troublesome MP4-28 machine. 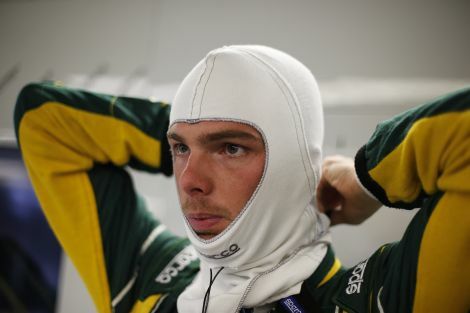 Giedo van der Garde finished 16th in his Caterham, a satisfying end to an impressive weekend for the Dutchman. The ease of Vettel’s win will certainly unsettle all concerned, and it gives the impression to many that he may now continue to pull away in the championship standings when the drivers head to the Italian Grand Prix at Monza. The constructors championship seems to be going in a similar direction, with Red Bull holding a healthy 77-point lead in the standings. Vettel’s championship chase has some considerable momentum behind it now, and it makes you wonder how the chasing pack can catch up to him without any mechanical disasters for the German in the coming races. 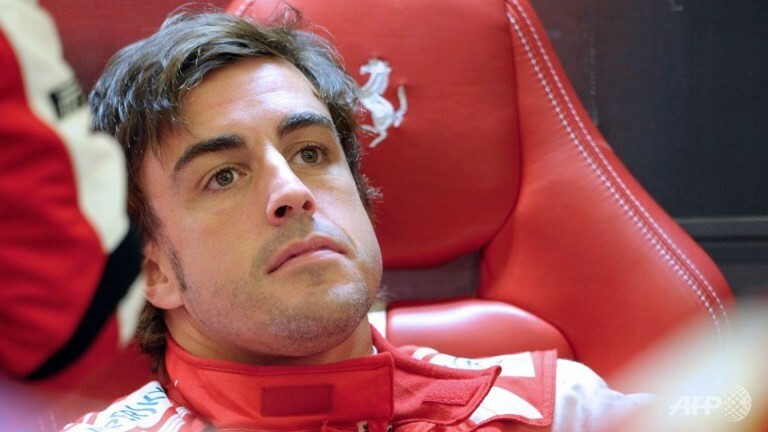 While second place at Spa for Alonso (above) will come as a relief to the Scuderia after a dry run of results, it really does make you think of what Alonso would be capable of in a car that was more suited to him. The passionate “tifosi” will certainly hope that Ferrari’s Prancing Horse can reclaim the top spot on the podium at their spiritual home of Monza. Otherwise they’ll find themselves left in the dust of the raging Bulls.